The 25 Most Spectacular Holiday Light Displays in the US from The 25 Most Spectacular Holiday Light Displays in the U.S.
Twinkling lights, illuminated displays and nightly festivals and attractions are just a few of the things that help to make the holidays the most magical time of the year. And while a simple neighborhood light show can be perfectly charming, some light displays go all out to amaze onlookers. Holiday light displays are a popular seasonal attraction; they have long been a tradition throughout the United States and an essential part of Christmas celebrations. Communities come together and families make new memories as towns, parks and popular sites are transformed into magical displays. 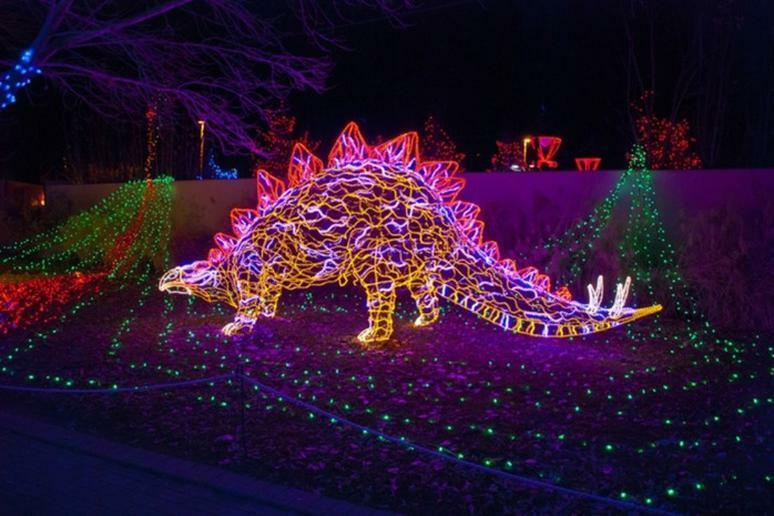 Whether you would rather walk through a synchronized music light show, drive through 3 miles of more than 700 lit-up displays, or take a stroll through a glimmering botanic garden, there is something for everyone on this list of spectacular light displays in the U.S.
Each year, the ABQ BioPark Botanic Garden hosts the River of Lights — New Mexico’s largest walk-through light show. Experience millions of sparkling lights, a synchronized music light show, more than 400 glowing light displays, and animated sculptures. 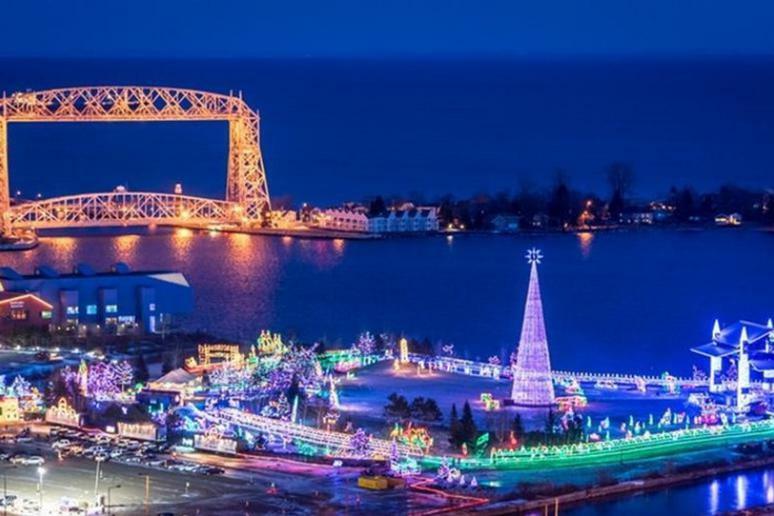 Head to Duluth, Minnesota, between November 17 and December 26 to see America’s largest free walk-through lighting display. 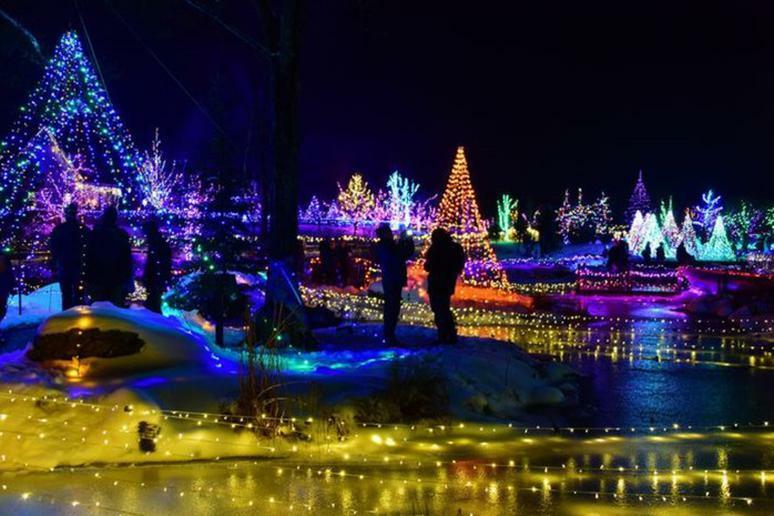 More than 200,000 visitors come to this 20-acre park, situated on the shores of Lake Superior, each year to admire this display of over 5 million lights. 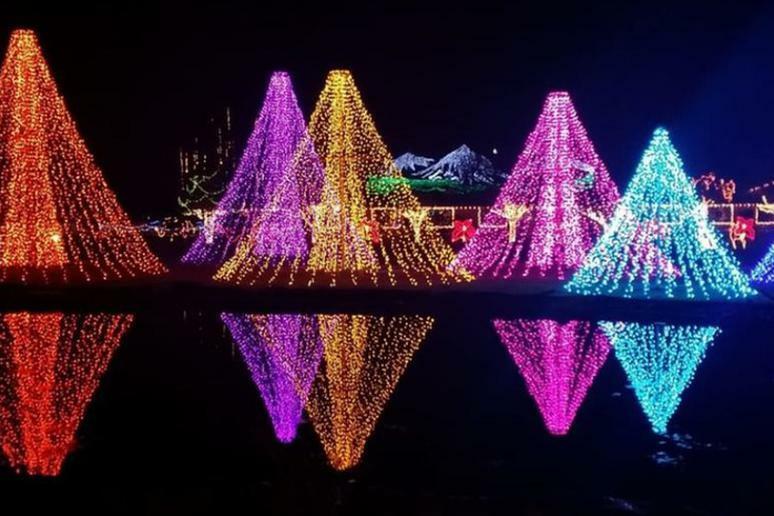 Head to Sandy Point State Park and take a scenic drive along the shore of the Chesapeake Bay for this incredible drive-through holiday light show. It features more than 60 animated and stationary displays. This season’s show will run from November 17 through January 1 from 5 to 10 p.m. nightly. 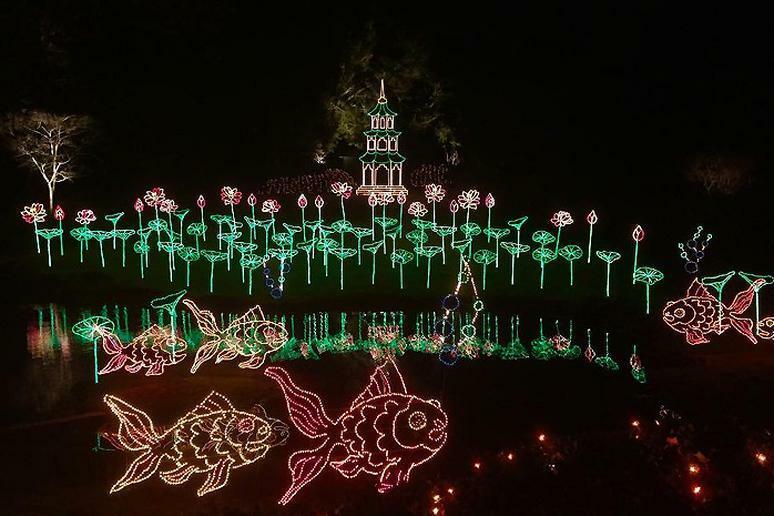 Located in the Bellingrath Gardens, the Magic Christmas in Lights is celebrating its 23-year anniversary. The 65-acre garden estate is lit up with over 3 million lights and 15 scenes that are accompanied by nightly choral performances. Flower bulbs during the day are illuminated with light bulbs at night. It is truly a mesmerizing experience. 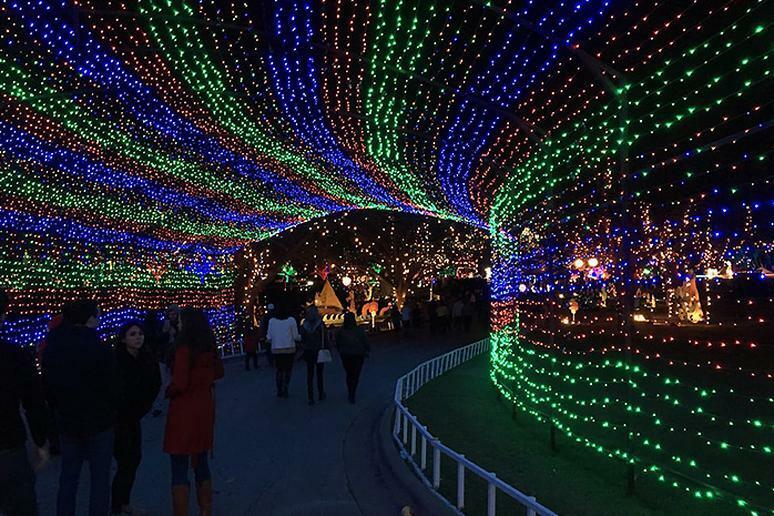 With four magic tunnels, 40 displays, 2 million lights, food, music, and a 55-foot tree, it’s no wonder Austin's Trail of Lights made the list. Decorate your own tree along the trail or become a trailblazer by adopting one of the Trail of Lights iconic displays. 2018 tickets will be available from December 2 through December 23. With more than 10 million lights, Busch Gardens is home to one of largest Christmas light displays in North America. They put on quite the show in Christmas Town. 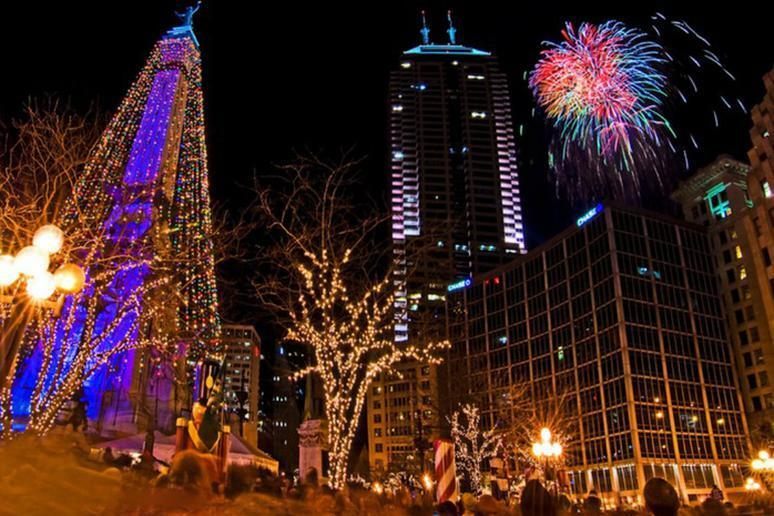 The 50-foot-tall central Christmas tree alone has 500,000 lights that glow to a musical show that plays every half hour. Winter is a great time to visit Hawaii, and this year marks the 22nd annual Festival of Lights in Kauai’s Historic County Building. The opening ceremony is on December 1, 2018, at 6 p.m. It is open on Fridays, Saturdays and Sundays December 1 through December 24. Families will enjoy admiring the beautiful lights and participating in “Santa’s Workshop Events” where volunteers create folk art and new ornaments. 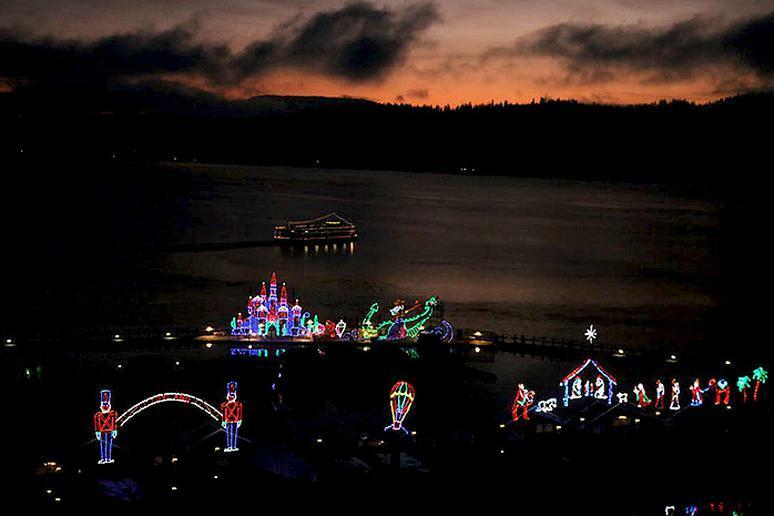 With over 1.5 million lights, Idaho’s top resort, the Coeur d'Alene Resort, is home to the country’s largest holiday light display on water. Visitors take a boat cruise to experience the millions of twinkling lights and 250 floating scenes. It takes more than eight weeks for the Resort’s employees to prepare this display, using more than 5 miles of electrical wiring. 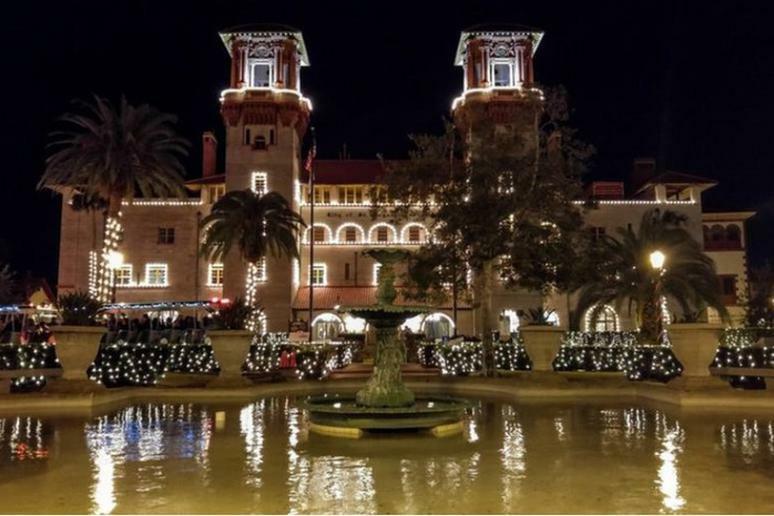 When it comes to decorating for Christmas, St. Augustine doesn’t disappoint. The historic district is hosting the 25th annual Nights of Lights this year. 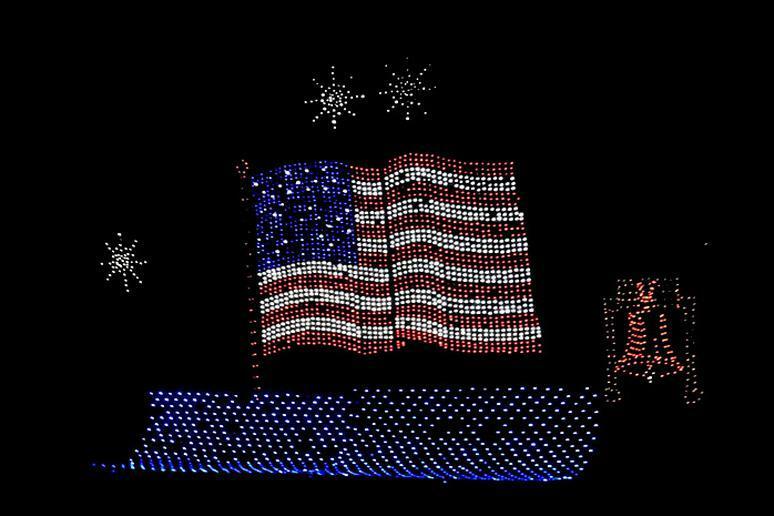 The award-winning lights display — comprising over 3 million lights — can be viewed on foot, on a carriage ride, on a Christmas train, or from a helicopter or a sailboat. 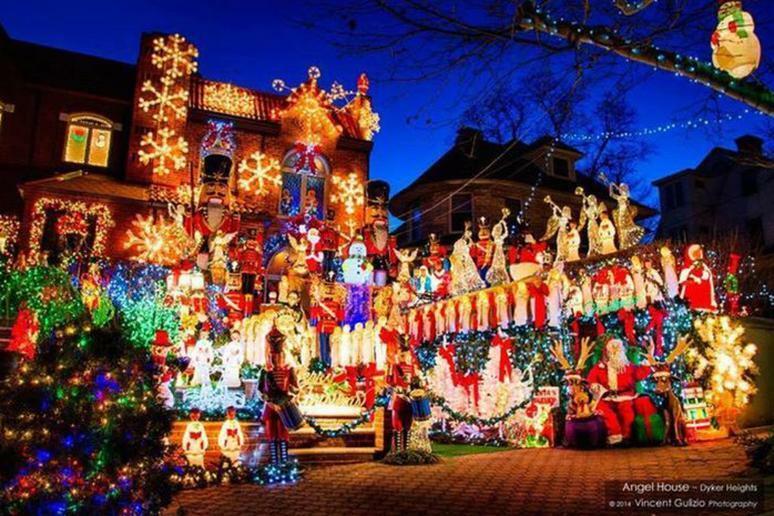 When many of us think about Holiday Lights in New York City, we usually think about Rockefeller Center, but the truth is that Dyker Heights Brooklyn goes above and beyond. 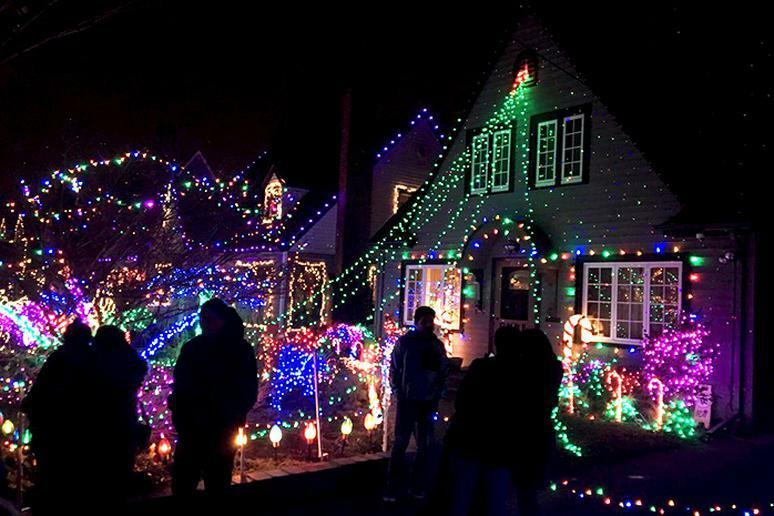 Homeowners participate in an unspoken competition for the most lavish holiday light display. Walk through Dyker Heights or drive through in your car to experience the joy. Walk the paths of this unique display in South Carolina. 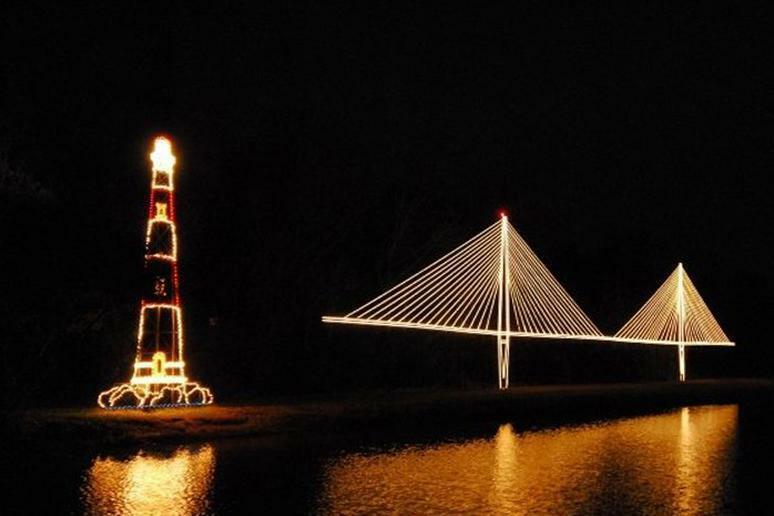 Unlike the typical Christmas lights display, Murrells Inlet’s Brookgreen Gardens illuminates its display with more than 4,500 hand-lit candles. Take in the 80-foot-tall tree while strolling with a cup of cider or cocoa and enjoying the seasonal sounds of carolers and handbell choirs. 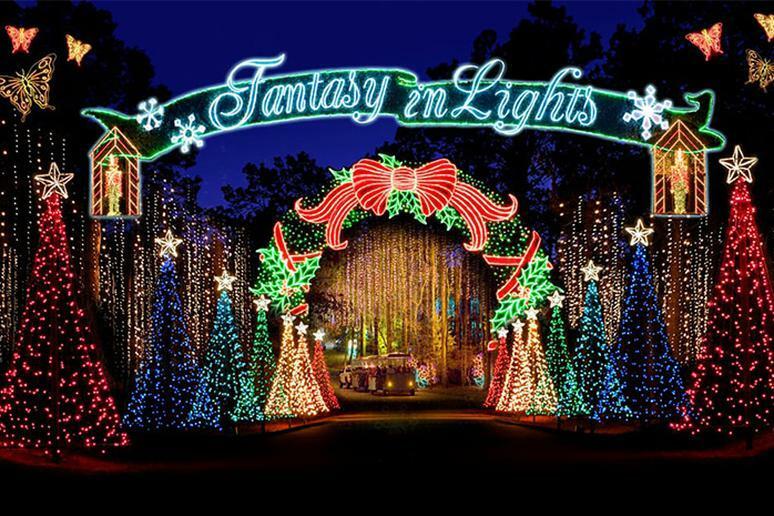 This completely LED-lit 2.5-mile glittering course with sounds and vibrant colors opens in November. More than 3 million lights and about 500 animated exhibitions will dazzle you. Glittering Lights has entertained more than 2.2 million people over the past 15 years. The display has been on many “best of” lists — best annual events by USA Today, best places to see Christmas lights by CNN Travel, and most over-the-top holiday displays by Huffington Post. 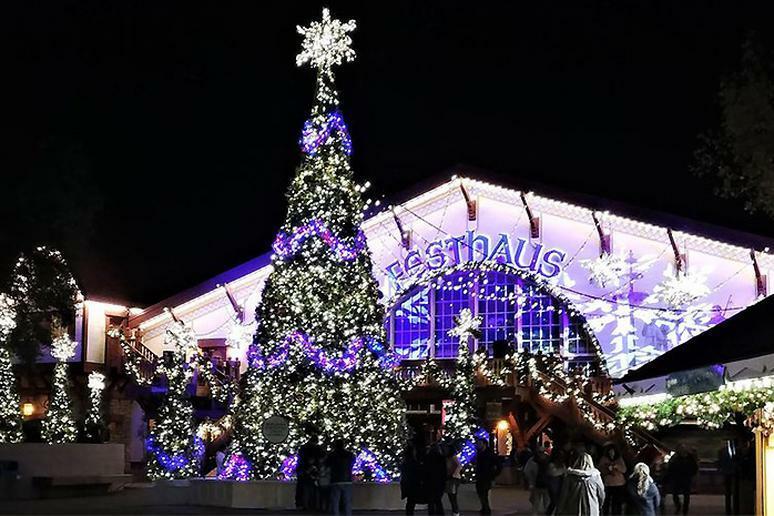 Rollercoasters, chocolatey treats and the Hersheypark Christmas Candylane make for the park’s most festive time of the year. More than 4 million lights are put up around the entire park, including 200,000 that flicker in a choreographed light show. 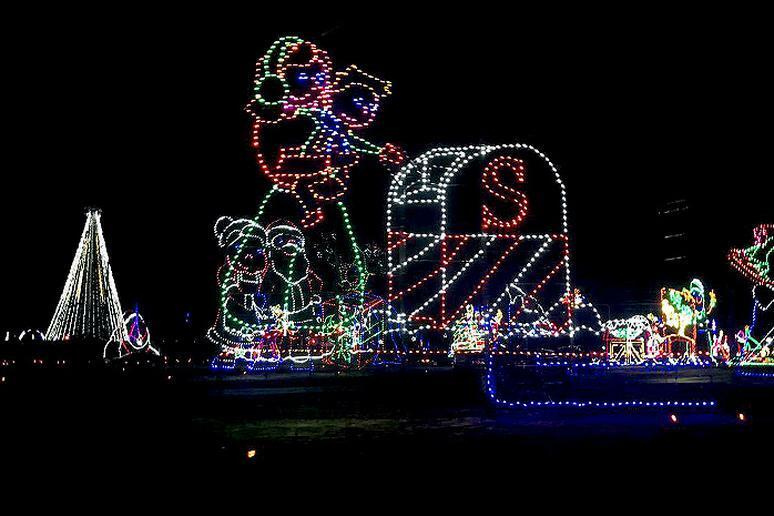 Visitors can also enjoy the incredible light display — Sweet Lights — from the comfort of their own cars. Originally starting in Tennessee, Shadracks’s Christmas Wonderland has expanded to multiple locations in different states. 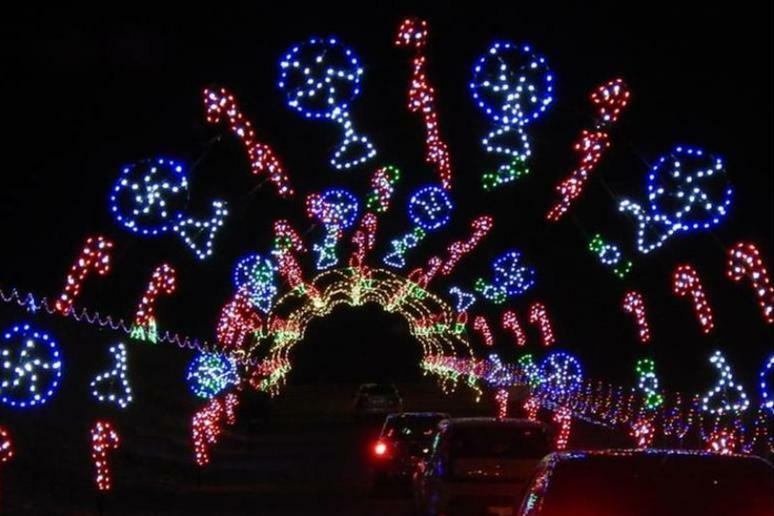 The main location, in Sevierville, Tennessee, features hundreds of thousands of LED lights on more than 1,000 different light circuits. Enjoy the show as they blink along to Shandrack’s recorded holiday songs. More than 4 million lights are put up over the course of three months to create the popular Legendary Lights of Clifton Mill in Ohio. 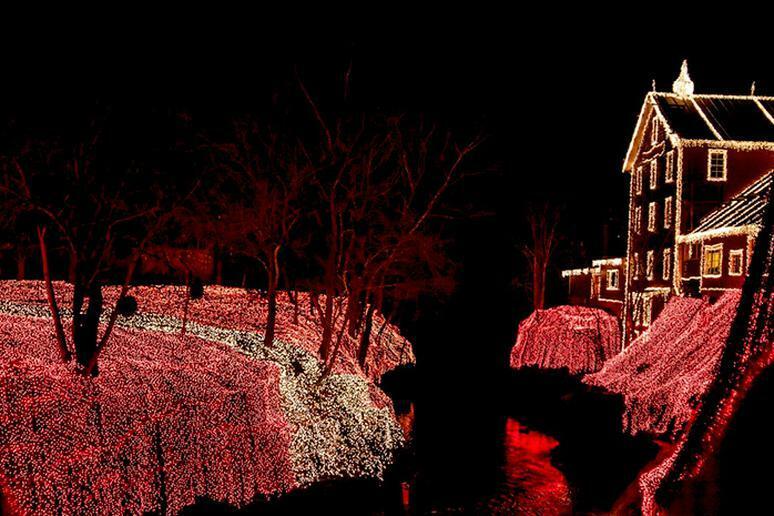 Sparkling lights cover Clifton Mill — the gorge, riverbank, bridge, building and nearby trees. There’s even a 100-foot “waterfall” of lights. Every hour, the lights all go out while Christmas songs play before majestically exploding back on all at once. There’s also a synchronized light show alongside the covered bridge. Visit the Coastal Maine Botanical Gardens to experience the largest light display in Maine: Gardens Aglow. Experience more than 650,000 lights that decorate the central gardens and buildings. The display will be held from November 15 through December 31. 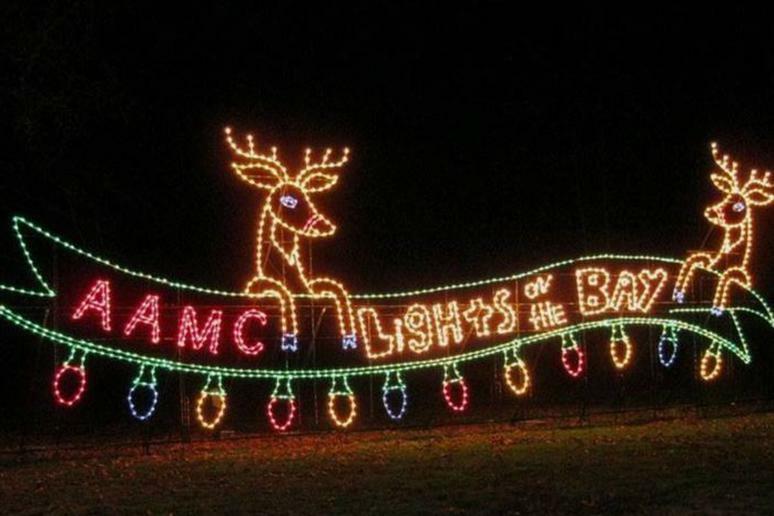 Said to be the most over-the-top holiday light display in Virginia, Richmond's Tacky Lights Tour will have you in awe. 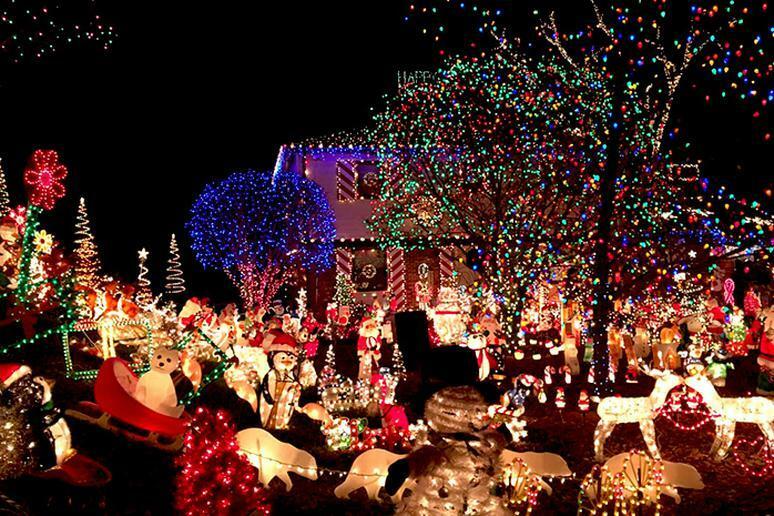 The tour consists of over 50 houses, each with a minimum of 40,000 lights. (The Phifer family house, a highlight of the tour, has more than 1 million.) Visitors rent buses, trolleys and limos to view the spectacle. Stanwood is home to the largest light display in the Pacific Northwest, The Lights of Christmas. 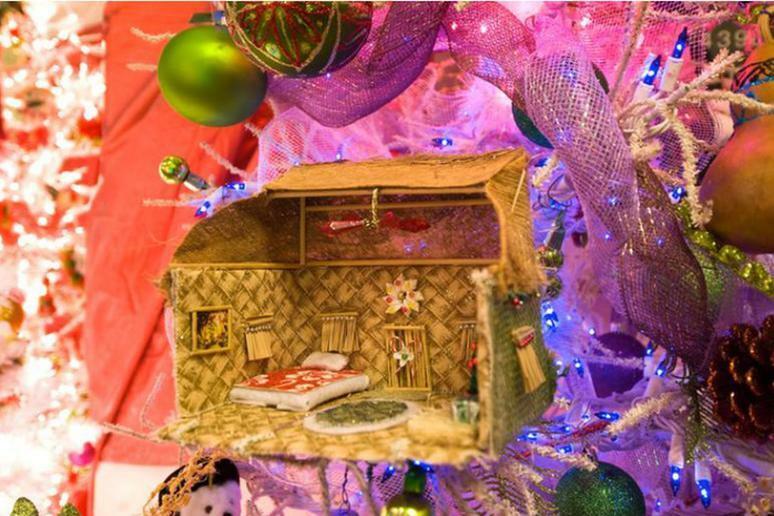 Wander through Warm Camp Beach and explore 15 acres covered with over 1 million Christmas lights. Enjoy the lights as well as live entertainment, children’s activities, delicious foods and holiday shopping. 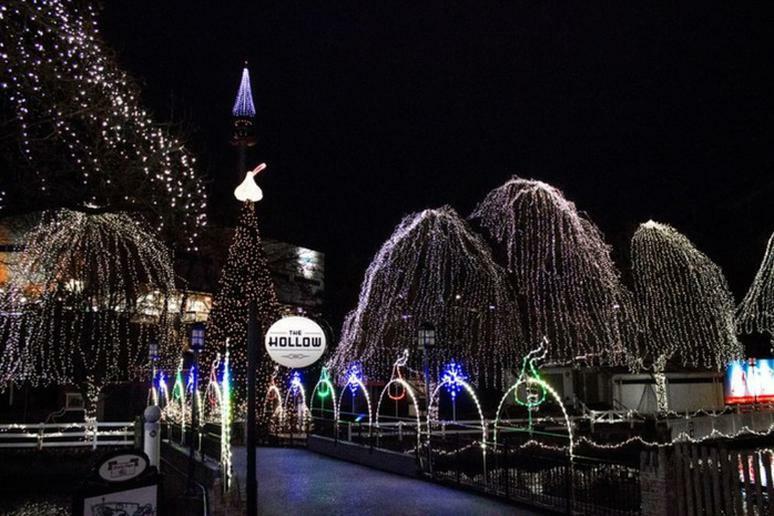 Visited by more than a million visitors each year, this park and resort in Wheeling, West Virginia, encompasses one of the best Yuletide displays in the country. 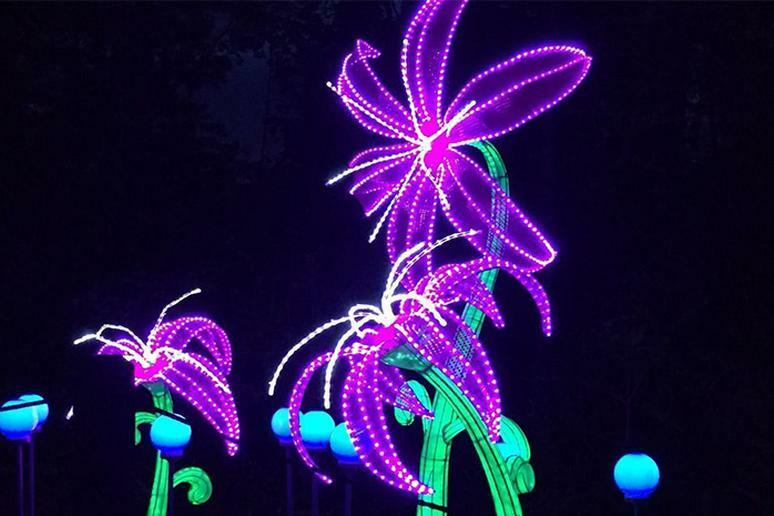 The display is a 6-mile drive, covering 300 acres, and visitors can view approximately 70 illuminated installations. New holographic eyewear called 3D Sleigh Bands are offered this year, transforming the show into a magical holiday spectacle. This year marks the 26th year of the Riverside Festival of Lights, located in Southern California. 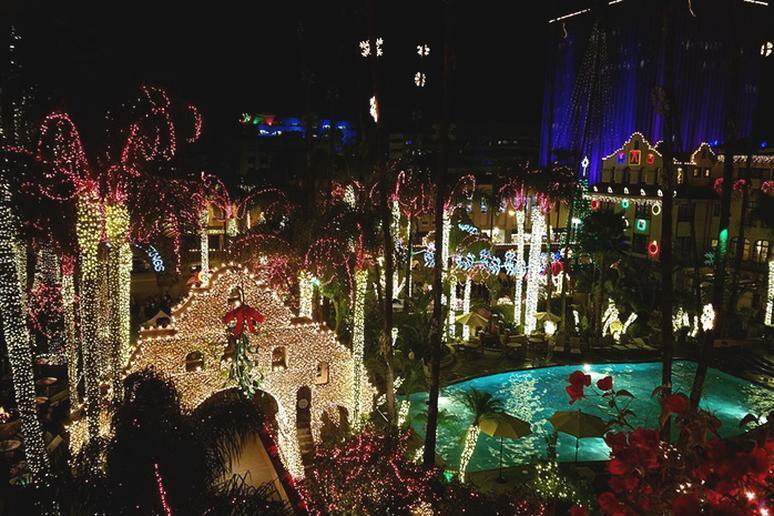 Hosted by Mission Inn Hotel & Spa, this display attracts more than 500,000 visitors every year. View approximately 200 animated figures, the world’s largest man-made mistletoe and falling “snow.” Families who choose to stay in the hotel for the night will be rewarded with a visit from Santa’s elves. This charming neighborhood in southeast Portland has been attracting visitors for decades. Visiting the lights on Peacock Lane has become a tradition. Enjoy free cider or cocoa while driving or walking by the four blocks of displays. See rotating Christmas trees, life-like replicas of your favorite holiday characters and thousands of sparkling lights. Hop aboard one of Newport Beach’s fully decorated ships to capture views of this magical display. 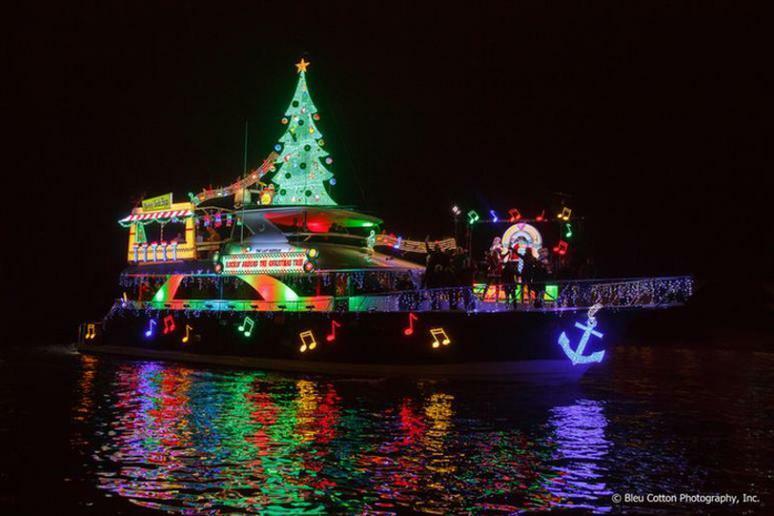 The Newport Beach Christmas Boat Parade runs for an entire week along a 14-mile route. While onboard, you will be rewarded with views of beautifully decorated homes, extravagant themed displays and more than 100 boats of different shapes and sizes on the shores of this warm city that knows how to do Christmas right.